Bring on flavor and finish with high quality salt from SaltWorks. Photo by Imei Hsu. On a hot day in September, I stood beside a chain link fence while preparing for triathlon race that would take me at least three hours to finish, maybe more. The sun had already warmed the air to a comfortable 70F, and the athletes getting their gear ready for quick transitions through the three-event race anticipated temperatures in the low 90’s. “Hey, since you don’t eat processed food, don’t forget to take in some extra salt. Watch your electrolytes,” one of the team coaches said to me. Well, that was a fair warning. Unbeknownst to me, my dramatic switch from the standard American diet to a Celiac-safe and gluten free, non-processed food diet had already set me up for low potassium, sodium, and magnesium. By the time I struggled my way through the Olympic Distance swim and bike courses, the ten- kilometer run which should have been my best time felt like pushing a wheelbarrow through mud while the sun oven baked me from above and below. During the race, I had stopped sweating properly, and instead of being able to push through the last mile with whatever was left in the tank, I slowed to a sloppy jog, nauseated and dry heaving. A lack of salt on board was what did me in. Later, I would learn that I was taking in well under the recommended amount of sodium per day. By placing the daily allowance in a small glass jar in the kitchen and sprinkling some on my food at every meal, I was shocked how much was still left in the jar by dinner time. But what is ‘high quality salt’? When you go to the grocery store, there are a couple of national brands for table salt, a couple more for kosher salt, and then a few others for specialty salts. What do you choose? Does it make a difference? A variety of course salt lines the window sill at SaltWorks. Photo by Imei Hsu. To be found “worth one’s salt,” is to be good or competent at something. Some scholars believe that this idiom came from the ancient Roman practice of paying soldiers with money to purchase salt, because salt is precious. Just like my story above, strenuous activity requires the replacement of sodium chloride in one’s diet, and the easiest form of that is salt sourced from salt beds near the sea or in rock formations and salt mines. Early historical records reveal how entire towns and economic growth were linked to the mining and harvesting of salt. Once people understood the curative properties of salt, they could sustain themselves through winter, create trade routes, and sail the world. 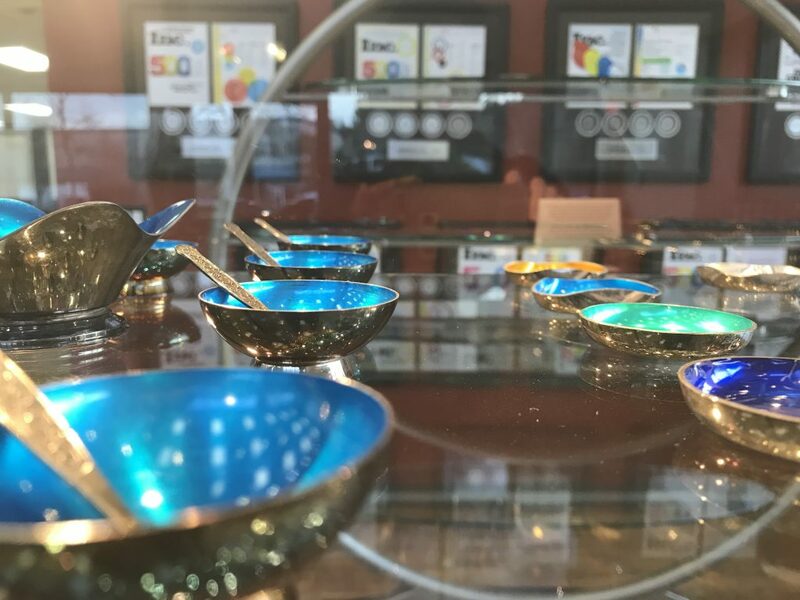 While I had wrongly assumed SaltWorks was a manufacturing site only, it also has a medium-sized showroom with natural lighting to present over 100 varieties of specialty gourmet salts, and a robust private collection of the owner’s salt bowls with spoons. Everything you can imagine in the kitchen and bath, made from a block of salt. 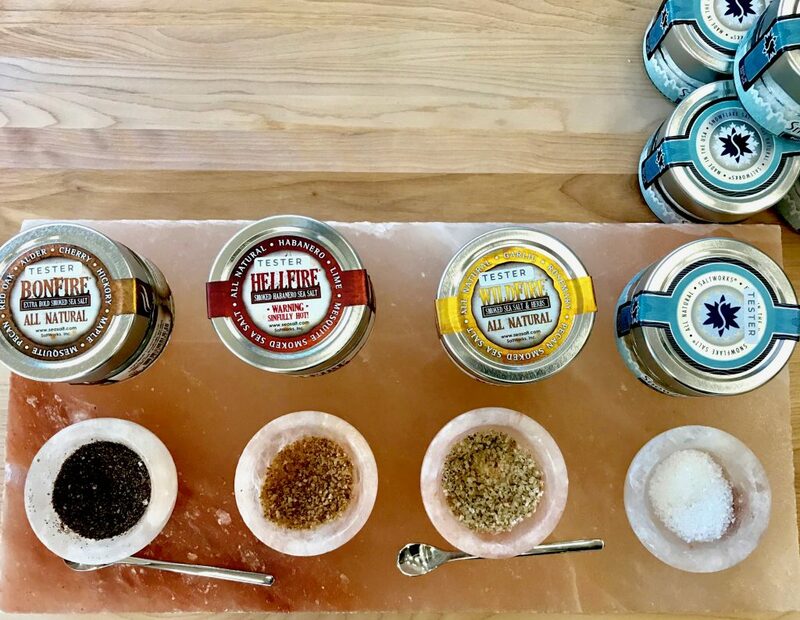 My eyes visually gorged on Himalayan Pink Salt, Cyprus Black Sea Flake Salt from the Mediterranean, and cold-smoked Salish Alderwood Smoked Sea Salt, evoking a tango between sweet and smoky. Lining the long window sill along the edge of the industrial park building were glass containers of course salts. Tucked in the various salt displays were salt stone blocks, rounds, salad bowls, and other decor made of salt. 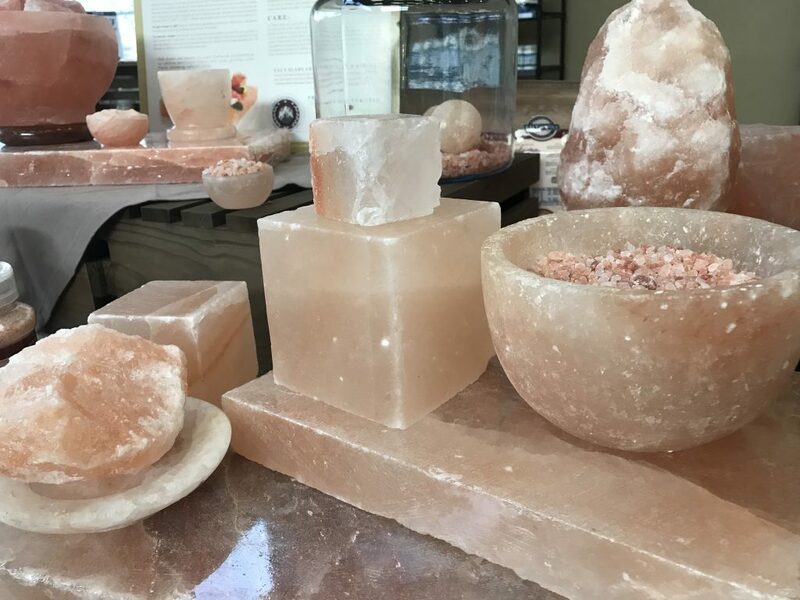 Imagine drinking a beverage that could be enhanced by salt from a Himalayan Pink Salt shot glass! Because salt often brings the flavor of sweet, sour, and savory forward, you can imagine the delightful dance of your favorite foods on your tongue when it is thoughtfully combined with the right salt. Salts can have a more briny flavor, or be infused with mesquite for a smokey finish. Fleur de Sel, the “caviar of salt,” is a staple of all fine food, and if I tasked myself to make a snack at home that needed salt on the finish, this would be it. I bought a large package of Sel Gris (Velvet), because I often make meals that need a quick melting of the salt into the food, such as soups and stews. 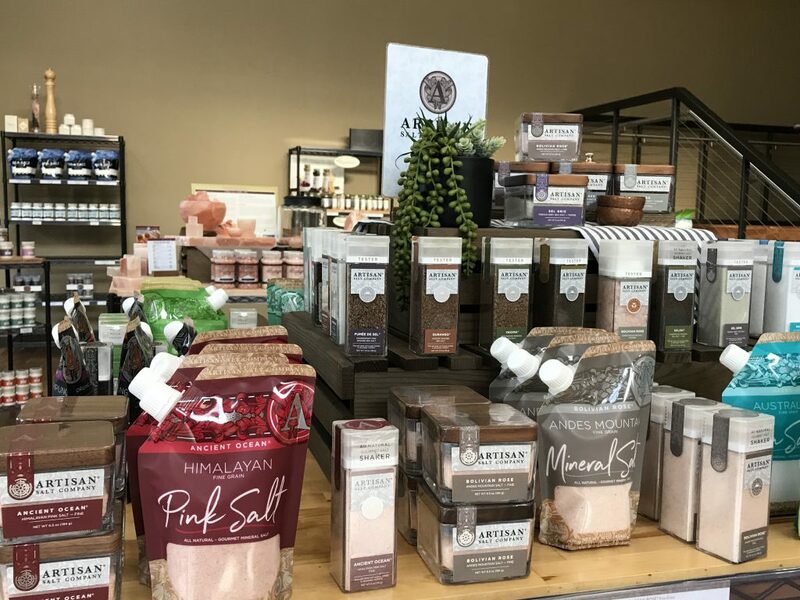 A display of the Artisan Salt line gives consumers a small taste of just how many choices of salt there are in the food and beverage world, as well as for the home chef. SaltWorks produces their own line of salts under the brand name Artisan Salt Company. You might not have heard of it unless you are in the food and beverage industry. Chances are, if you look in your pantry and find a container of high-grade salt, look at the back bottom of the container for the SaltWorks logo. Their Optically Clean technology removes any foreign material from the raw salt, using real-time cameras and lights to review the salt as it passes by. If you come to the showroom, you do not get to tour the manufacturing lines, as this is both a clean room and a proprietary process. Instead, there is a plaque that shows the various stages of cleaning for a sample of salt, and what starts out as a handful of particles and salt in one circle ends up in a gleaming white disc of salt in the final stage. Nearby, the awards for SaltWorks makes it clear why their brand shows up in fine dining establishments and food products across the land. 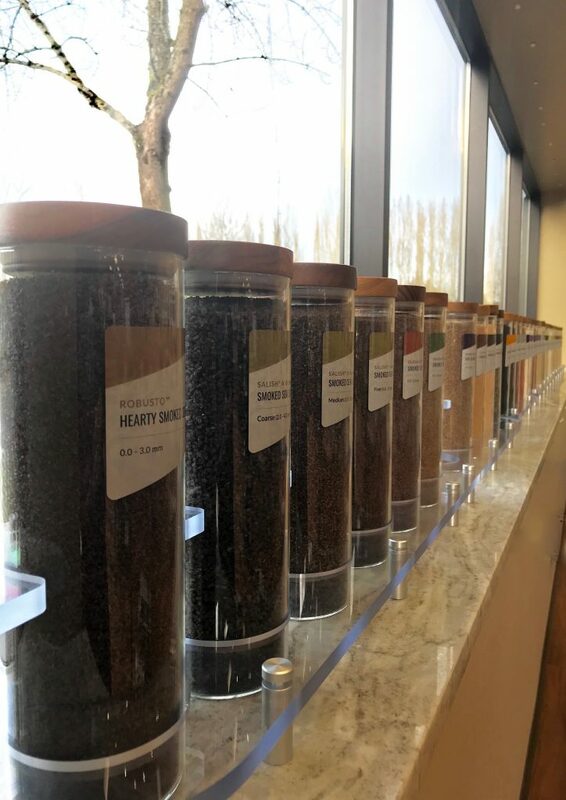 SaltWorks also sells other salts that they do not manufacture at their Woodinville site, so if you are wishing to find a more rare type of salt, you may still find it at SaltWorks. 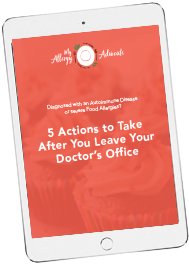 Because of my food allergies, I steered away from the Fusion salts only because some of them contained alliums or were produced on the same lines as alliums. In the near future, their production will change to accommodate these food allergies with separate lines. Ironically, I have been able to have some chili peppers (nightshade family), so I’m looking forward to trying the Jalapeno, Habanero heat, and Ghost Pepper Salt on future visit. If you lean towards Asian cuisine, their salt collection includes Spicy Curry, Thai Ginger, Szechuan Pepper, and Matcha Green Tea salts (imagine jade green small grains on top of white chocolate or dark chocolate, ooh la la!). The show room also includes a section for Epsom Salts. As an athlete, I depend on Epsom Salt baths to help me recover after a particularly brutal training ride or run, and after long endurance races. Soaking in a hot bath with Epsom salts helps ease muscle aches, while essential oils can help relax the nervous system or supply herbs to treat minor systems like nasal congestion. As I selected a bag of Epsom salt for purchase, I saw a line of customers forming at the cash register. Hmm, it’s a Friday afternoon and there is a line of people buying salt products in a storefront away from the wineries. What is going on? Because SaltWorks is open 10-4pm Monday through Friday, these customers had come in just before closing! I watched a few 25-pound bags of Epsom salts exit the front door. Dead Sea Salts with Eucalyptus and Grapefruit — hello, I’ll have me some of that! The majority of SaltWorks business is wholesale and online orders in bulk. If they have the type of salt you are looking for, it’s likely they have it in quantities starting from four pounds to 2,200 pounds. Let’s just say that if I had a part-time day job there that involved fetching bags of salt to be shipped out, I would have the arms of a professional body builder! Yet don’t let that intimidate you if you are just buying a little something for your sweetie (hint hint: everyday is Valentine’s Day). Few things say, “I love you” better than tasty food like homemade salted caramel and a intoxicating scent of lavender wafting from a freshly poured bath. Salt bowls with spoons. From the SaltWorks private collection in a showroom case, independent collection or curation. Photo by Imei Hsu. You might be wondering if my visit to SaltWorks has changed the way I think about salt. Oh, yes it has! Here’s how. I keep at least two types of salt in my mise-en-place: Sel Gris, to toss quickly into soups and stews, because as I mentioned, I do a lot of my batch cooking this way; Pure Ocean Premium Sea Salt for almost everything else. Because I have to work hard at putting enough salt in my daily meals, I started placing salt on the table, which is something I never did before. Right now, we don’t have a salt bowl, and I’m not a big fan of salt and pepper shakers. For me, that’s a lot of shaking to do, and difficult to measure. So I imagine I’ll be looking for a unique salt bowl and spoon this year, one that looks artistic and matches my spirit of making food fun again. Salt is such an easy way to make a simple-ingredient dish sizzle with flavor. If that wasn’t true, how do you explain Fritos? My trip to SaltWorks got me thinking about how I can jazz up everything from my bike food to homemade beef jerky and gluten-free bread. 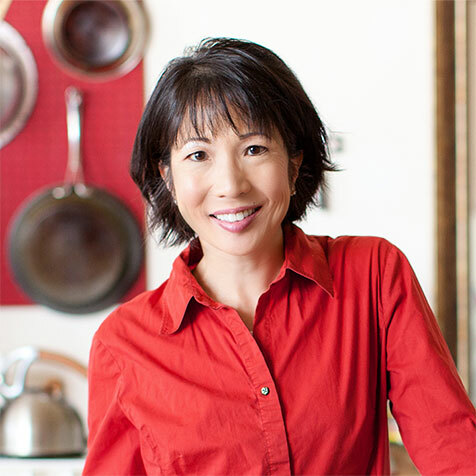 Whenever someone says to me, “I feel sorry for you because your food allergies and Celiac Disease makes your food choices so restricted,” I know that my reply has often been something to the extent of, “At least I get coffee and rice!” But now, I see all the other things I’ve been missing that I simply didn’t know about until now. Thanks to SaltWorks, I have nearly a hundred types of salt to choose from. And I’ll be keeping a packet of salt in a waterproof container in my hydration vest when I head back to the desert for my first 100-mile trail run. This little running hamster gets nothing but the best! SaltWorks is located in Woodinville, WA. You can visit their showroom during normal operating hours 10am -4pm, Monday through Friday.